While we haven’t had a chance to dig deeply into the survey findings yet, here is an overview of some of the survey highlights. 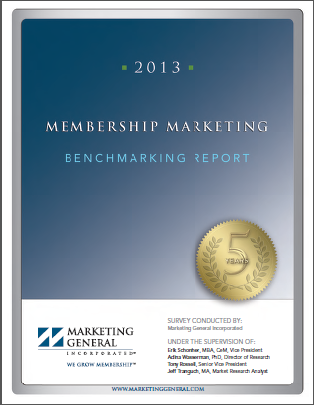 68% of participating associations have renewal rates at 80% or higher. The mean renewal rate for participating associations is about 81%. The mean renewal rate for new members is about 68%. Budget cuts/economic hardship of the company (18%). Lack of engagement with the organization (15%). Unable to justify membership costs with any significant ROI (11%). Membership card or certificate (51%). While the MGI survey offers benchmarking information for larger associations, if you'd like insight into small membership organizations, you might want to check out our Small Membership Insight Survey highlights. Lori, thanks so much for the summary of key findings from the report. I am always amazed at how community - that networking piece - is the biggest value, even though it's not always as quantifiable a benefit. Never underestimate the importance of community! Megan: Absolutely, our Small Membership Insight Survey confirmed that as well.